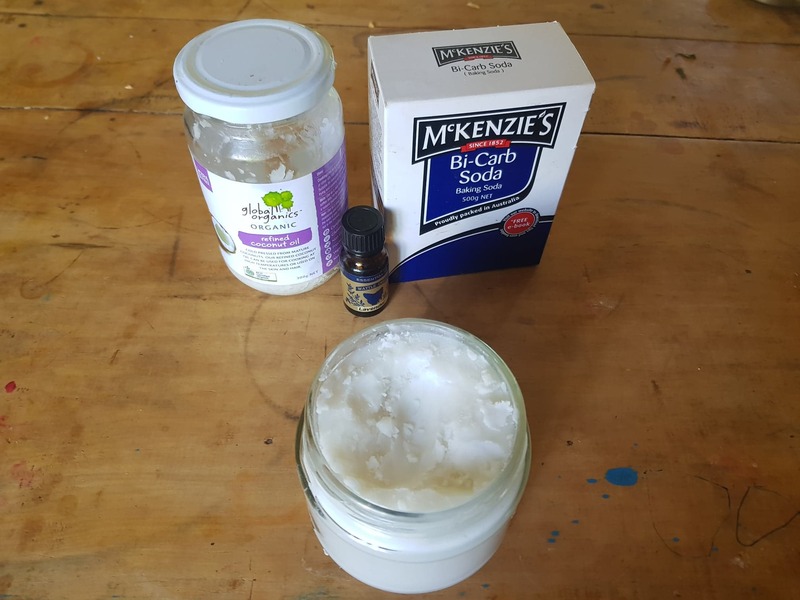 There are some things in life that are hard but making your own deodorant is not one of them. 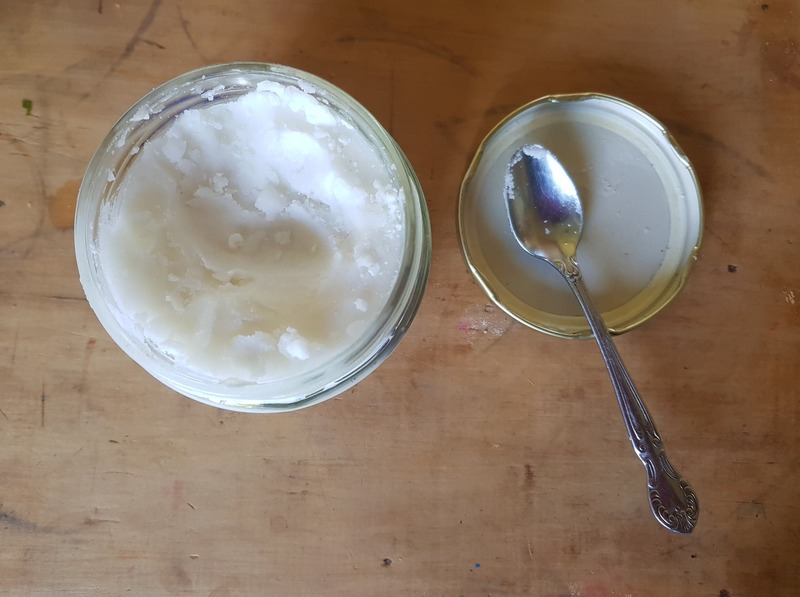 Some say that you should only put things on your skin that you’d be willing to eat, this is one of those recipes where it’s likely you already have all the ingredients in your kitchen. Surprisingly yes! I’m a healthy sceptic so was slightly dubious – after a day of bike riding, digging in the garden or bush walking I can get some pretty impressive body odour going on! But this stuff works – even on those highly active days. 20 drops of lavender oil which has antibacterial properties – and smells nice. The ingredients (minus the cornstarch which I’ve since ran out of… And the finished product in the glass jar. Simply place the corn starch (or arrowroot) and bi-carb in a bowl and mix thoroughly. Add the coconut and lavender oil and mix really well until it’s all creamed together. Pour or scoop it into a clean glass jar where it’ll last up to 6 months. As we live in cool temperate Tasmania the mixture sets fairly firmly. 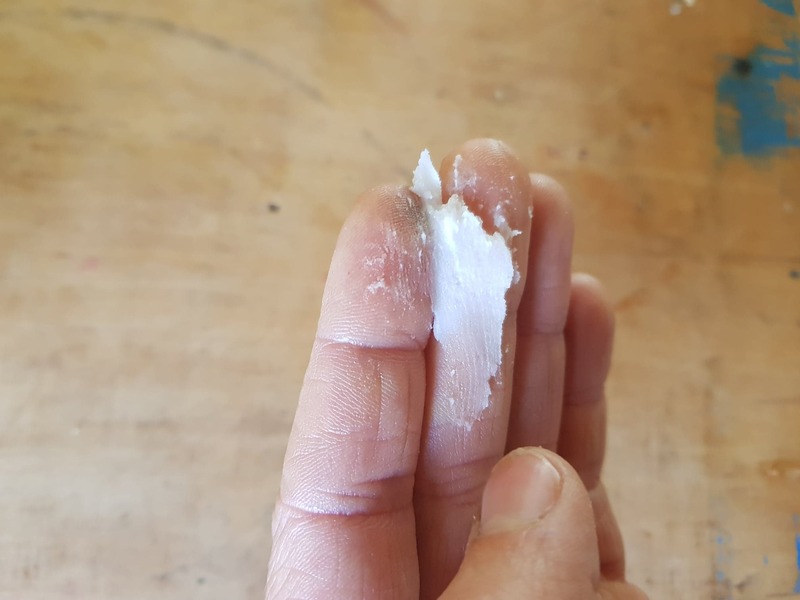 I use a teaspoon to scoop it out into my hand, once on your fingers your body heat will melt it into an easy to apply cream. For people who live in a warm climate the consistency will always be a nice and creamy so no spoon’s required – your fingers are perfect for the job. 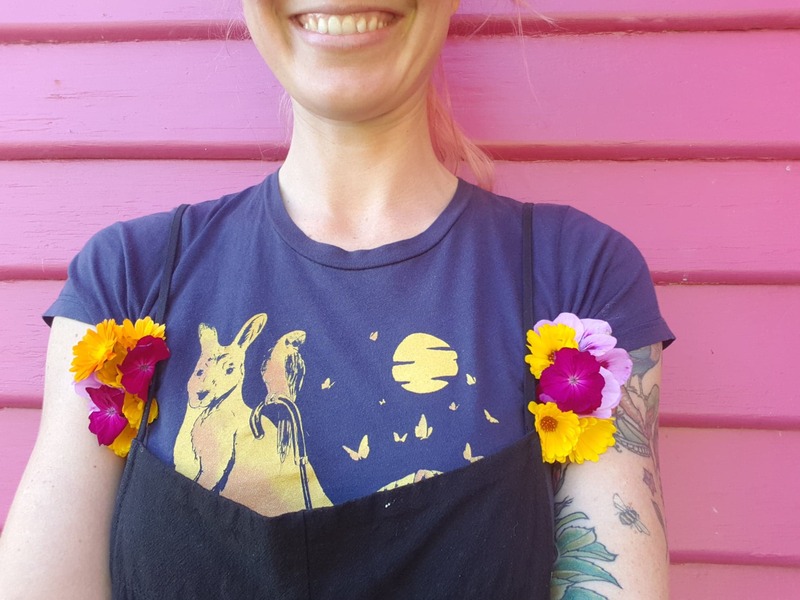 That’s it – go forth and feel like you’ve got two little bunches of fresh flowers sparkling out of your armpits :-D!